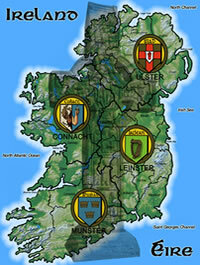 Irish Family Names all have their own individual history and coat of arms. 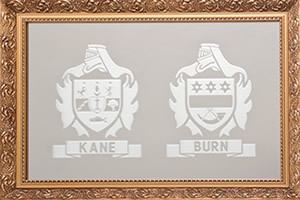 In the image (opposite) the family name of Kane and Burn are recreated. Your family name can be reproduced on a material of your choosing, thus creating a family heirloom to display.